A few other components of the Confirmation Program. below for instructions on the paper. "Sponsor". See the link below for info. Service complete service projects during the year. Service is a huge element of the program! Info on this covered at the Orientation mtg. another church. Attendance is required. OK? Students are Confirmed in the Fall of 2019. Breathe in me O Holy Spirit that my thought may all be holy. 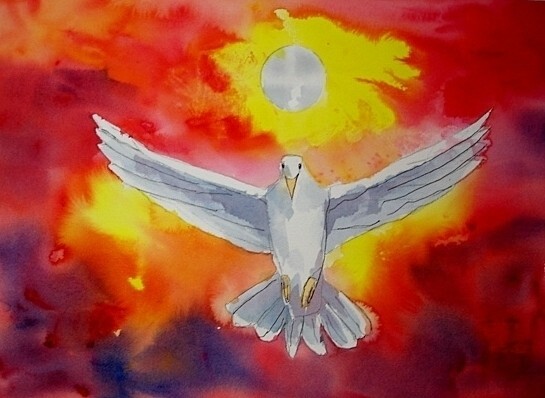 Act in me, O Holy Spirit, that my work, too, may be holy. You should have or need to complete a service project from our list. If you have not, there are a few opportunities left otherwise you need to contact me. The name of your chosen sponsor (see link above for info on that) you can e-mail it to me anytime you have it. Remember....students YOU should be the one asking someone to be your sponsor...not your parents! A copy of your Baptism certificate. If you were baptized at the Basilica or SSPP or St. Leo the Great then please e-mail that to me and I will look it up. Or if you made your first communion at SSPP I have it to.... Please let me know. In the fall.....we meet again once more for a class mass at SSPP Church..we celebrate "The Rite of Calling" before the Parish Community and they welcome us! (really nice). We do this the Sunday before our Confirmation Ceremony (see box to right). We all go to Confession after the mass and leave. The Archdiocese of Hartford ASSIGNES ME A DATE for our ceremony. I give them 4 choices and they select the final date. I can tell you this....my choices are usually in the last 2 weeks of September 2019. We are usually informed of our Confirmation date by end of June 2019. I will let you know ASAP and it will be posted on this web page AND in Church bulletins too!